Welcome to Funfair Hire Wales, specialists in Carnivals, fetes, concerts and all types of special events. 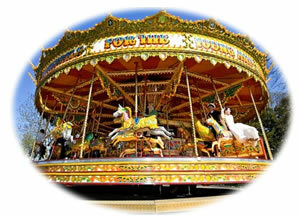 Funfair Hire Wales can meet all of your needs at the most competitive prices. 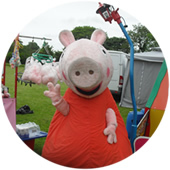 Whether you're organising a community event, children's party or just looking for something special and different, Funfair hire Wales can assist you. Please do not hesitate to contact us to find out more information, we are more than happy to answer any questions or quieries regarding Funfair hire. William Holmes is the 5th generation of the Holmes family and prides himself on running a friendly family run business throughout Wales. Traditional & modern adult & children rides are available for any event whatever the occasion we can cater for all types of events big or small. Corporate events, children’s parties, weddings, film work, carnivals, fetes and many more, we offer good value for our attractions and services. W.Holmes Amusements has a wealth of experience in the operating of equipment and the organisation of small events to large scale events. All our rides have 10 million public liability insurance, and are rigorously tested to meet Health & Safety Executive Standards. All our rides can be erected and ready to operate in a matter of hours, operated by our trained team. On all sites great emphasis is placed on being kept clean & tidy ensuring that a safe and pleasurable environment is enjoyed by all. Funfair Hire Wales 2010 © All rights reserved. Funfair Hire Wales are part of the W.Holmes Amusements Company.